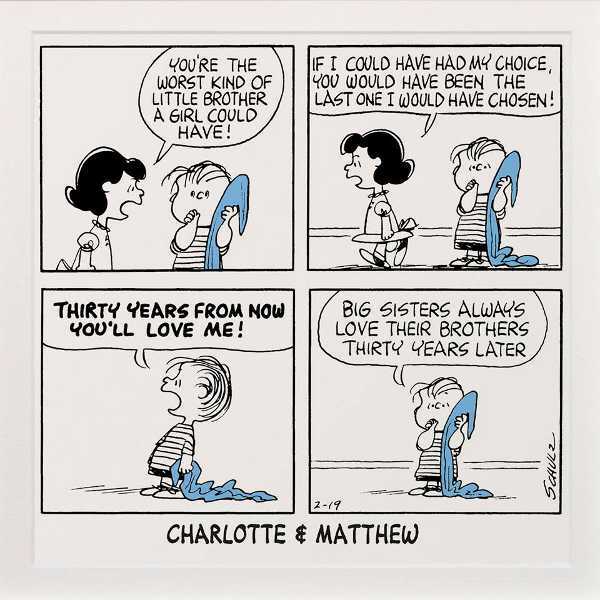 Do we have any Babyologists who are Peanuts fans? Not the ground nut type, but the Snoopy, Charlie Brown type. 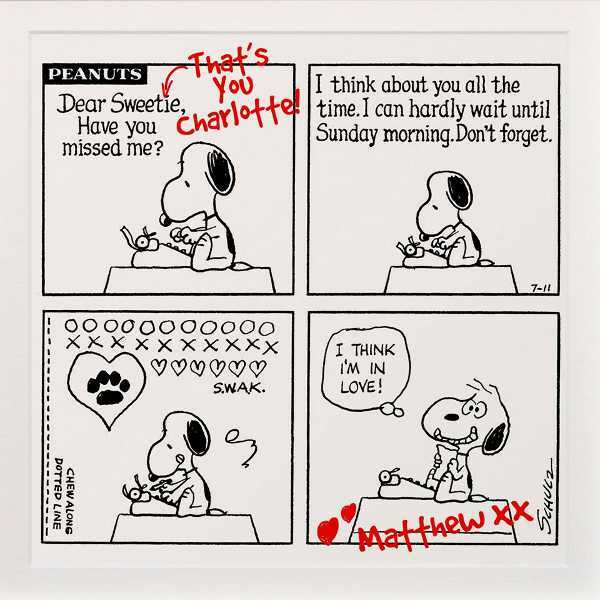 If so, step right this way to see how you can get your hands on some cute, personalised Peanuts prints. Everything old is new again, as they say. While I’d hate to think of the Peanuts franchise as being old, for fear of lumping myself into the same category, the cartoon will next year celebrate its 65th anniversary with a movie release. 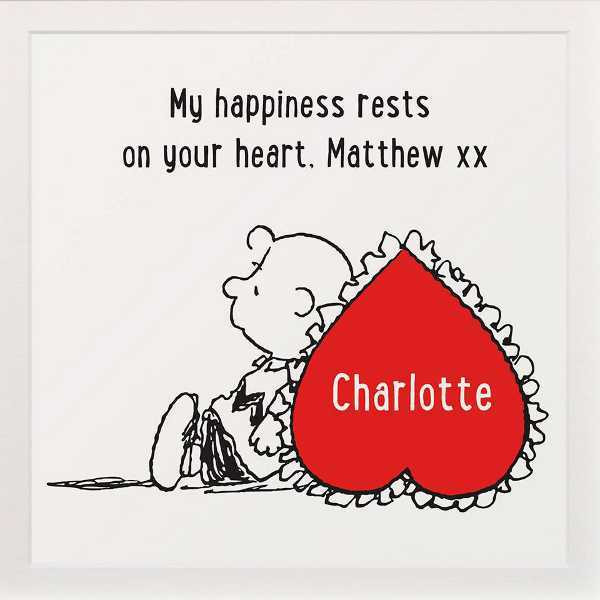 So in honour of such an amazing milestone, why not snap up one of these personalised Peanuts prints? 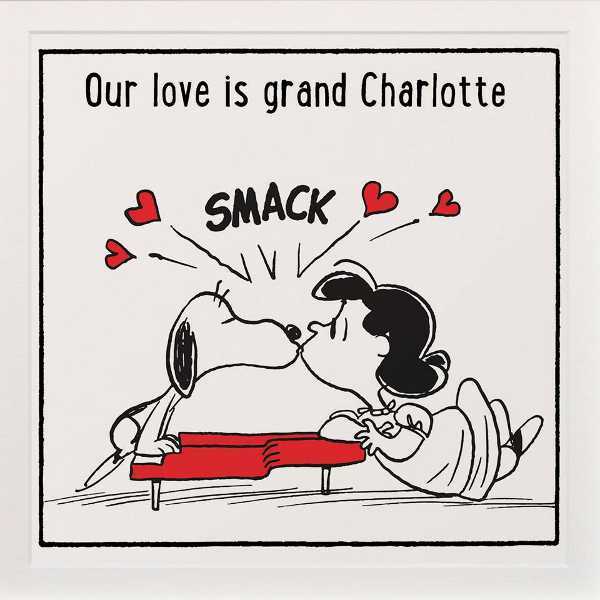 There are a host of Art You Grew Up With Peanuts prints to choose from, and they’d work beautifully in a nursery. Once a print is ordered, you email through the name you’d like included on the print, and it comes framed and ready to hang. A medium sized print is £29.99, a large print costs £59.99 and an extra large version is £149.99, plus delivery to Australia, from Selfridges.